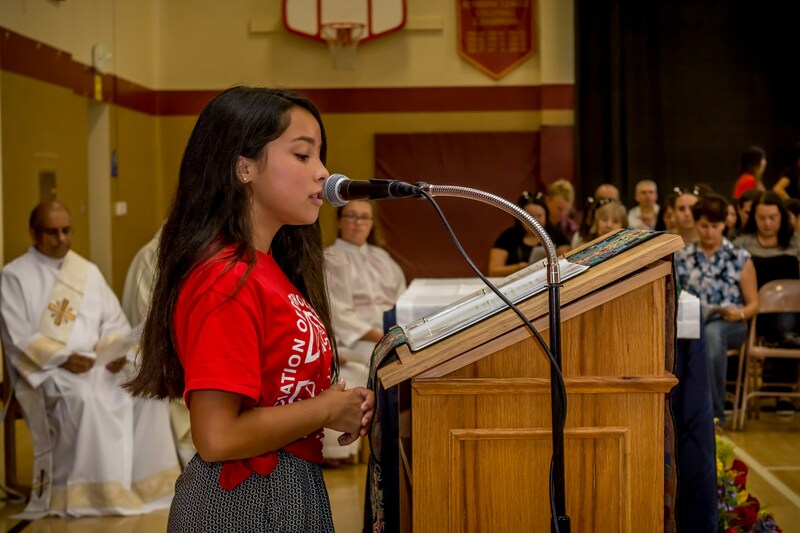 In accordance with our mission, philosophy, and SLEs, all NDAE students strive to be active Catholic Leaders. Students lead in their classrooms and through the various clubs, teams, and activities they participate in. Further, the 8th Grade Leadership Team, led by the Student Council, make up a very visible team of mission­-driven leaders transforming our campus. All 8th​ grade students, governed by the Executive Board and Commissioners of the Student Council, serve as Committee Members who plan, shop for, take ownership of, and lead all school activities. The Student Council is led by the Executive Council which includes the Student Body President,Vice President, Secretary, and Treasurer. This group of 8th ​grade students runs all Student Council meetings, oversees the Commissioners, the planning of school activities run by the commissioners and their committee members, and keep track of finances. There are six Leadership Team Committees, each headed by a commissioner, and all 8th​ grade students have a position on at least one committee. The Religious Affairs committee plans all Masses and religious services like the Living Rosary and Stations of the Cross. The Athletics Committee announces all sporting scores, events and practices, and encourages the student body to attend games. The School Spirit Committee announces upcoming events, and advertises events by designing posters and even using sidewalk chalk. 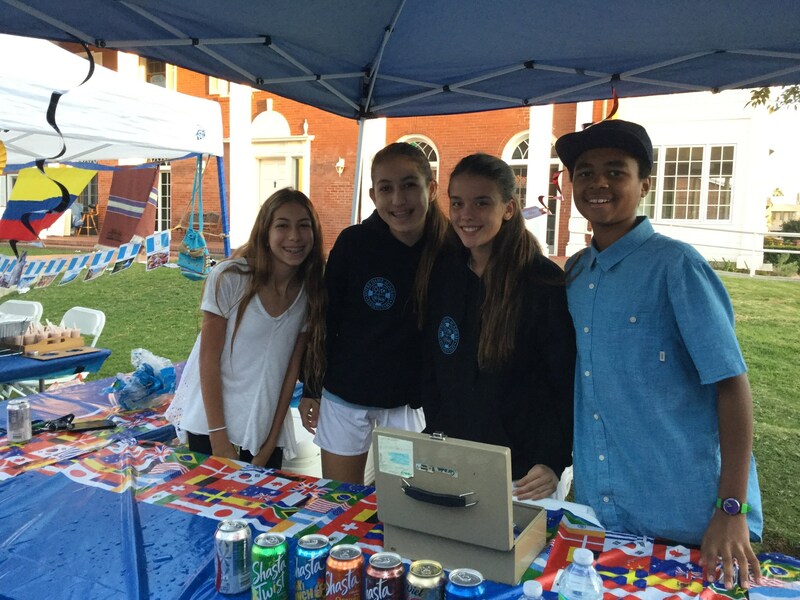 The School Affairs Committee plans and runs all of the middle school events and facilitates many whole­school events, such as the Halloween Festival and the three Middle School Events (Christmas, March Madness, and Spring Event). The Public Affairs and Outreach Committee plans and helps with school­wide service projects. Finally, the Historians document all of these events and activities through film and pictures, and make a scrapbook of all of the Leadership Team’s hard work. Classroom Representatives from each grade attend all Student Council meetings and report to the Student Council on the happenings of their classes. Student Council Class Reps, led by the Student Body President, create a Student Council Newspaper to more clearly and creatively disseminate Student Council news and better engage the student body. The 8​th grade Leadership Team facilitates the Stations of the Cross, monthly School Families events, TK Buddy activities, all Bake Sales and Holiday Sales, and runs booths at the International Food Faire and Family Mass and Picnic. These students participate in a Student Council Retreat, an 8​th Grade Retreat, and run the 8​th Grade Prayer Service and the spring Middle School Spiritual Pep Rally.